No matter where you are in the arc of your PR career, measurement matters. In order to prove the value of your PR successes, you must deliver metrics that speak to your organization’s top and bottom lines. Measurement success has eluded communicators not because they have a disdain for numbers (though that may be true, too) but because a PR campaign or program may be only one of several communications activities affecting brand perceptions. Another reason is the integrated mix of online/offline doesn't allow for easy measurement. These are all the issues facing PR professionals today. Don Stacks, director of the public relations program, School of Communication, University of Miami, says he got interested in PR measurement because people kept telling him PR couldn’t be measured. Stacks, who will be a speaker at PR News’ One-Day Boot Camp for Emerging PR Stars on March 18 at The Westin Diplomat Resort in Miami, shares some of his insights about PR measurement. 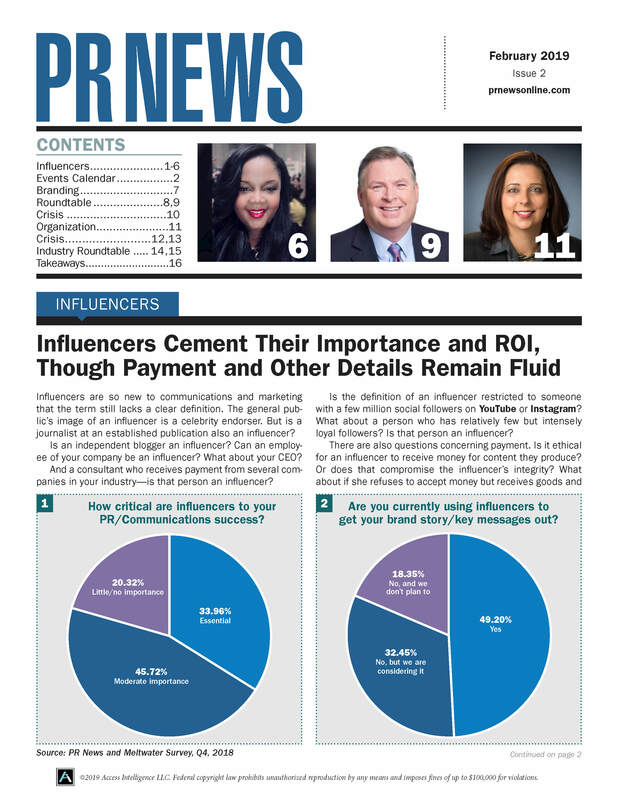 PR News: What are some key measurement and metrics principles all PR pros should be aware of? Don Stacks: Item statements, formatting of items, response requirements, validity and reliability of measures. PR News: What are some of the most common measurement mistakes being made by PR professionals? Stacks: See above, and add: objectives stated as goals (if at all), no baseline for measurement and lack of a triangulated approach. PR News: How is social media changing—for better or for worse—the current measurement landscape? Stacks: It really isn’t. Social media is another channel. If it is changing, it is changing response rates and access to target audiences. PR News: What are the most important lessons about writing that you want to share with Boot Camp attendees on March 18? Stacks: Know the basics of measurement, know advantages and disadvantages of different data-gathering methods, look at measurement as a required part of any campaign or program. If you’re a rising PR star seeking a one-day immersion in the key subject areas in PR, register now for PR News’ March 18 One-Day Boot Camp for Emerging PR Stars.